Are you looking to take to the streets in a quality pre-owned Volkswagen? 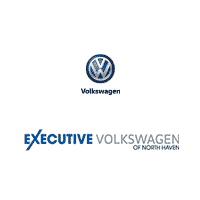 Our Volkswagen dealer serving North Haven and New Haven has a large selection of top notch used vehicles that you can drive home today. Whether you’re trying to get behind the wheel of a sedan, hatchback, or SUV, our impressive inventory is one you simply cannot ignore. Searching for a vehicle with a sporty, iconic design that also contains excellent cargo space? We recommend getting behind the wheel of the Golf hatchback. If you’d prefer cruising the streets in a sleek sedan, we suggest taking the Jetta for a spin. No matter which Volkswagen model you choose, we can ensure that you’ll feel confident in your new-to-you vehicle. If you’re looking drive through the North Haven and New Haven streets in a newer vehicle with fewer miles, we recommend checking out our certified used Volkswagen models. How do you know that you can trust our used vehicles to be as good as new? We’ve made it easy to view the CarFax for each model as you’re browsing! Find out service history, number of owners, accident reports, and more. After you find a vehicle that sparks your interest, stop by our Volkswagen dealer and go on a test drive! For more information about any of our used Volkswagen models, don’t hesitate to contact us at (855) 250-6818. We proudly serve all of Connecticut, including North Haven, New Haven, Hamden, and Wallingford areas.